FUKUOKA - Mt. Shimmoe on the southwestern Japan main island of Kyushu erupted again Monday, prompting the weather agency to warn of falling ash and flying rocks in nearby areas. 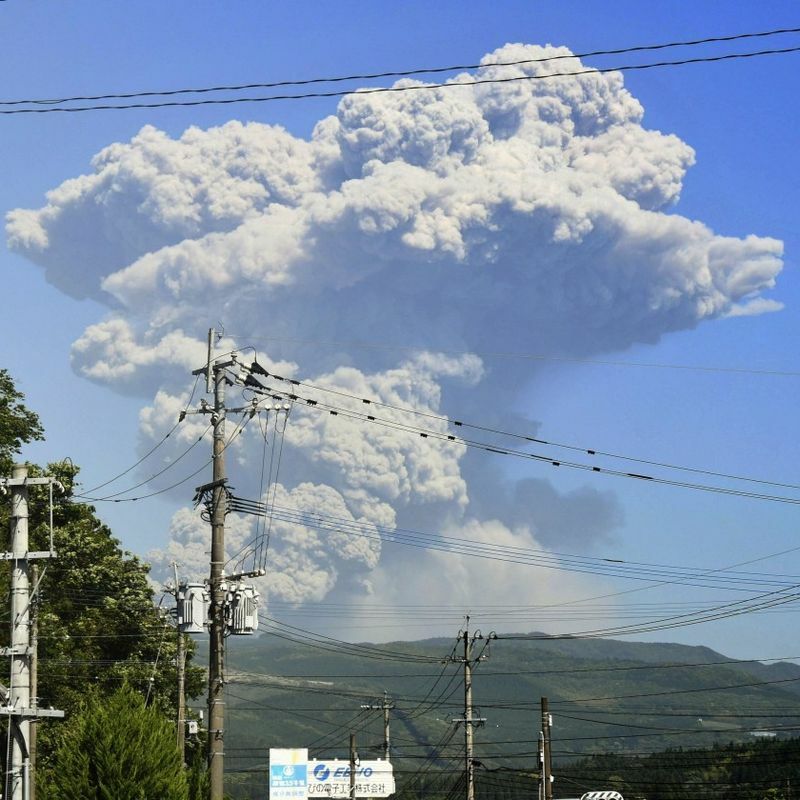 The 1,421-meter-high volcano straddling Kagoshima and Miyazaki prefectures erupted at around 2:45 p.m., with volcanic smoke rising up to 4,500 meters into the air, according to the Japan Meteorological Agency. The volcano last erupted on April 6. The agency maintained a level 3 alert on a scale of 5 that restricts access to the volcano. It also warned of large flying rocks in areas 3 kilometers from the crater and pyroclastic flows within a 2-km radius. Mt. Shimmoe has remained volcanically active after erupting violently for the first time in about seven years on March 6. Mt. Io, which is among the same Mt. Kirishima group as Mt. 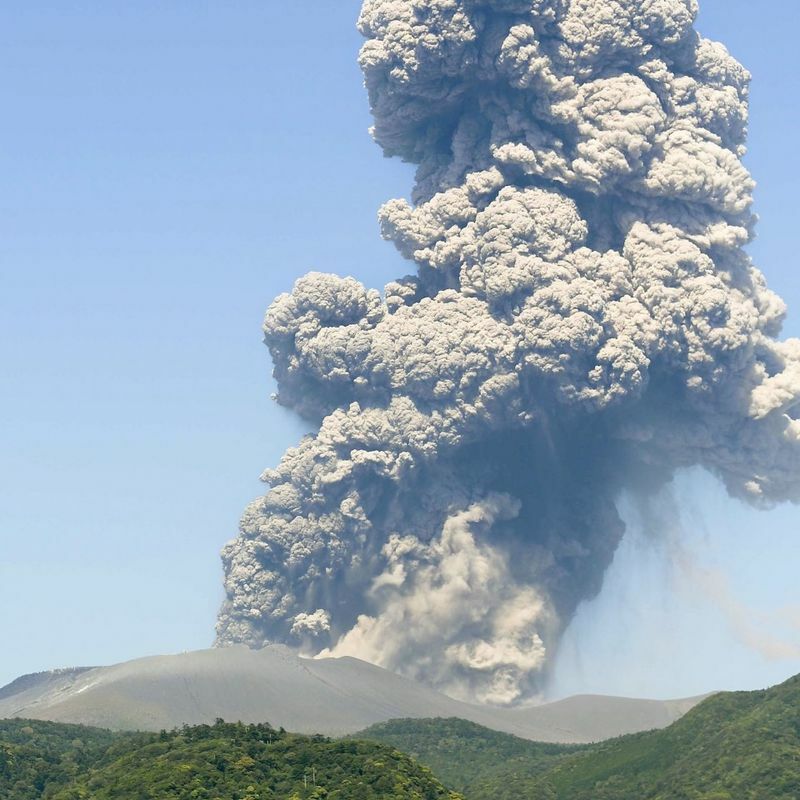 Shimmoe, also erupted on April 19 for the first time in 250 years. Arsenic and other harmful substances were detected from nearby rivers following the eruptions, leading some 1,400 farmers in Miyazaki and Kagoshima prefectures to give up rice cultivation for this season.